Guests who choose to stay at the North Melbourne Serviced Apartments will be able to choose from a range of well furnished studio, one and two bedroom serviced apartments that are all very comfortable, fully self contained and ideal for long term weekly rental. The North Melbourne Serviced Apartments are ideally positioned only a short distance from Melbourne CBD and within easy walking distance to the Queen Victoria Market. Alternatively guests can catch the tram that runs straight past the property in order to get to many of Melbourne's other tourist attractions and corporate offices. 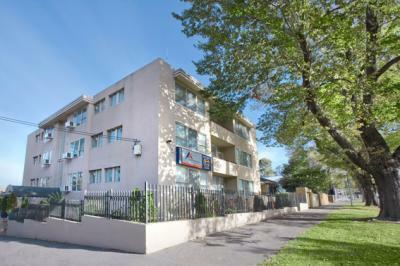 The North Melbourne Serviced Apartments also provides great value for money furnished apartment accommodation for those people who need to be close to the Royal Children's Hospital and the Royal Women's Hospital. The North Melbourne Serviced Apartments also has internet access available to guests and a quiet BBQ area out the back of the property. Some of the major Melbourne attractions that are located close by to the North Melbourne Serviced Apartments include the vibrant Docklands precinct, Etihad Stadium, the Queen Victoria Market, the State Hockey and Netball Centre, Melbourne Showgrounds, Flemington Racecourse, the Melbourne Zoo, Royal Park, Melbourne University, Royal Melbourne, Royal Women's and Royal Children's Hospitals and much more. Also for your convenience the North Melbourne Serviced Apartments are just a short distance away from the nuermous restaurants and cafes on Carlton's Lygon Street.